Survey data management is critical to the operation of the Port of Melbourne (PoM), primarily to support the safety of vessels operating through its channels. The PoM is one of Australia's busiest and largest container ports with 30 commercial berths, 21km of waterfront and over 500ha of land. In September 2016, the port’s commercial operations were leased for 50 years, a contract worth more than AUD9.6 billion. The Port waters cover around 95,000ha from the Port Phillip Bay entrance to the Port’s berths in West Melbourne. The northern end of Port Phillip Bay mostly consists of silts and clays, influenced by the river outflows from the Yarra and Werribee rivers, whilst the southern end of the bay is dominated by mobile sands under the influence of tidal currents. Hydrographic survey data is critical to managing these waters, and it is therefore vital for the PoM to have systems in place to manage the large volumes of survey data. Up until 2012, the Port managed its data in a simple drive structure which was no longer adequate for their activities. PoM activities include routine hydrographic surveys of its channels, berths and waters, to monitor sedimentation, and to appropriately design and schedule dredging campaigns to maintain channel depths. The Port survey schedule is determined by a number of factors including the amount of vessel traffic, the typical extent of buffer between seabed and declared depths, knowledge of temporal environmental conditions and the mobility of the seabed. While some surveys are undertaken every 6 to 12 months, such as the constant and predictable seabeds effected by silt from river outflows, others require more frequent surveying, on a monthly basis such as high risk areas with mobile sands carrying high volumes of commercial vessel traffic. Meanwhile, areas outside of the channel with little or no commercial vessel traffic are on a 10-year survey cycle. As a result of its high surveying requirements, the PoM acquires up to 2TB of processed survey data per year. The surveys consist of around 17,000km of survey lines covering around 40,000 – 45,000ha per year. Most of these surveys are undertaken with multibeam echo sounders, with occasional sub-bottom profiling. The vast majority of surveys meet the IHO Special Order standard of 100% ensonification of the seabed. As the frequency of re-survey for most channel areas is 6 months or less, the Port aims to cover all areas of Port Waters at least once every 10 years. With only one dedicated survey vessel, this frequency target is achievable but a challenge. Over time the survey data ‘catalogue’ becomes a history of seabed change. It provides insights into the characteristics of change for different areas of the Port waters, so that trends of sedimentation can be established, and the timing and extent of shoaling predicted. The issue for the Port is how to best manage this large survey catalogue and to establish a robust interface for users to select and analyse the datasets. In 2012, PoM purchased CARIS Bathy DataBASE (BDB) software to support their management of hydrographic survey data. 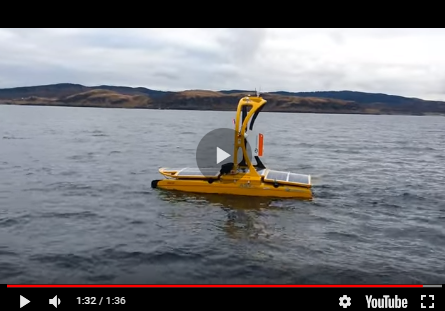 For the PoM it offered the key functional requirement of a spatial interface for multiple users to select and interrogate bathymetric surfaces from a range of repeat surveys across Port waters. Prior to CARIS BDB the PoM managed their data in a consistent directory structure, which made searches very inefficient and wasted considerable staff time. They also did not have a way to visualise the archived datasets spatially, and used to review data by textual descriptions. This was a tedious process involving the opening of numerous projects to try and find the right location. The visual spatial database provided by CARIS BDB eliminated needless searching for survey data. Over the last 5 years CARIS BDB has become a critical component of the PoM hydrographic survey workflow. It represents the ‘end destination’ of survey acquisition and processing, and the ‘beginning’ of various monitoring programmes and spatial analysis undertaken by the Port. The survey data workflow is managed so that all QA/QC checks of data occur outside of the database, with only the processed datasets which have passed the QA/QC checks being added to CARIS BDB. This gives all users the confidence that data sourced from CARIS BDB has already passed through standard quality checks for potential errors including erroneous soundings, datum shifts, and surface differencing checks against previous surveys of the same area. The entire hydrographic datasets, containing data flagged as ‘erroneous’ and unprocessed surfaces, are backed externally to the database as a reference for reviews. In terms of storage the PoM currently uses traditional onsite servers for its data management. CARIS BDB has a dedicated server, with the annual data capture files (QINSy project files) stored on a dedicated drive for a year before being backed-up to external drives. As a back-up, the whole computer network is imaged to tape at least weekly so that its backed-up in at least two different locations. The outcomes of these activities are mainly used for internal operations, such as channel management and dredge planning. However, the data and reports are also sent to the Harbour Master, Victoria Ports Corporation – Melbourne (VPCM) and State agencies as required. One of the main activities for the PoM survey operations is to monitor the sand waves which impinge on the shipping channels in southern Port Phillip Bay. Efficient data management is pivotal for the Port to analyse the impact of sand waves on these channels to ensure safe navigation. The mobile sand waves cover a vast area of southern Port Phillip Bay, in depths ranging from less than 10m to greater than 30m. They are comprised of loose, mobile sand moving over a harder stable bedrock base. The heights of the sand waves range from less than 20cm to more than 3.5m between the peaks to troughs. The waves are affected by tidal conditions and can move laterally up to 5m per month, moving predominantly east over successive surveys. Following a dredging campaign these sand waves re-establish themselves in similar forms, typically at the edge of the channel and gradually extending into the channel over time. They can also behave erratically following a dredging campaign, increasing and decreasing in width and height, before settling into a relatively consistent growth profile over time. A review of the survey schedule. The Port has several upcoming challenges for its survey and data management operations. The first of which is the ongoing management of ever increasing data volumes. This will present challenges to the current management methods with cloud storage, processing and analysis becoming an increasingly appealing option. The Port is also considering techniques to more seamlessly integrate data from different sensors with their bathymetry. The inclusion of MBES with bathymetric Lidar and imagery data will give greater insights in managing port assets. Introducing new technologies will also require skilled staff to take advantage of the various capabilities, and a challenge for the port is to ensure staff have the necessary skills to take advantage of new functionality e.g. 3D visualisation. The Port is open-minded about upcoming trends in technologies, software and data management. As Jason Horlock, survey manager at the PoM says, “if it makes good business sense, embrace it.” Currently, the PoM is interested in Lidar to supplement its high-resolution multibeam, along with drone and virtual reality technology to improve their visualisation and communication of seabed dynamics. The PoM consider themselves in a good position to embrace these new technologies, now that they have got efficient survey data management practises in place.